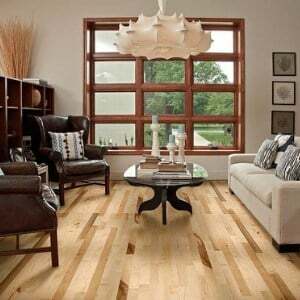 Most popular hardwood flooring species and pictures. 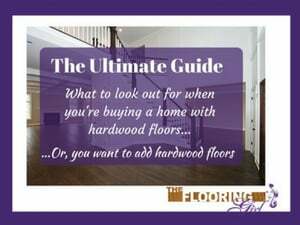 What are the most popular choices for hardwood flooring species? 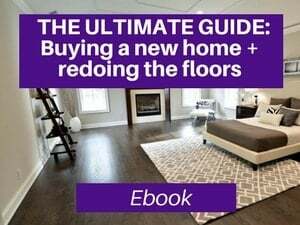 There are many species of hardwood flooring, and I thought it would be helpful to help explain and visualize the different types. There are pros and cons to each, and there is no “one size fits all.” It depends on what you like and which elements are most important to you as well as budget. 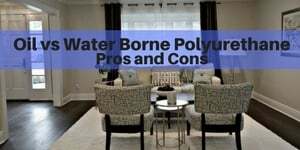 Understanding the characteristics, as well as the pros and cons, will help you select the ideal species for your home. Oak is the most common type of hardwood in the United States, especially in Westchester county. 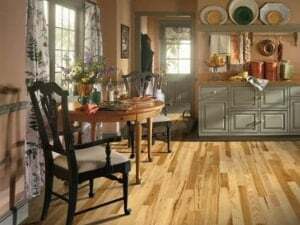 Oak is generally less expensive (since it is more abundant) and it is usually the hardwood that you find in most homes…so if you are looking to match what you already have, chances are, it is oak. There is red oak and there is white oak, and you can learn more about the differences here. Oak flooring is very practical for many reasons. First, it is economical. 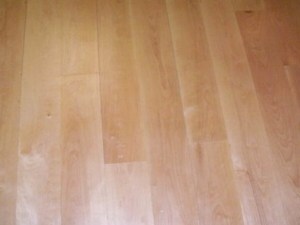 Second, due to the strong graining of oak, it helps hide the scratches and dents better than most other hardwoods. (Note: if you are not a fan of strong graining, oak is probably not the best choice for you). 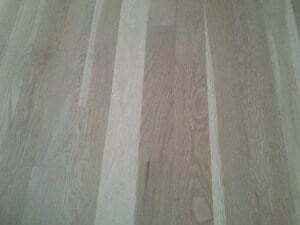 Third, oak absorbs stain very well, so it is easy to change the color when you are refinishing the floors. 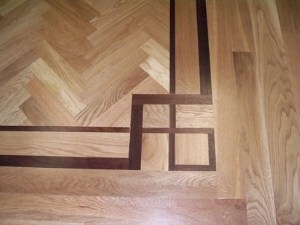 Here are some examples of oak flooring with different color stains. You can go from very light all the way to ebony. Oak hides dents and scratches well making it a great option if you have dogs or a busy household. You can learn more about types of hardwood, colors and finishes that are great for dogs here. Oak is a tree in the genus Quercus of the Beech family. 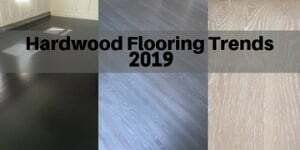 There are actually 600 species with red oak and white oak being the most popular, especially when it comes to flooring. White Oak is the state tree for Connecticut, Illinois and Maryland; Red Oak is the state tree for New Jersey. It’s important to note that red oak and white oak are the names of the trees and not the color of the woods. They are named due to the bark. 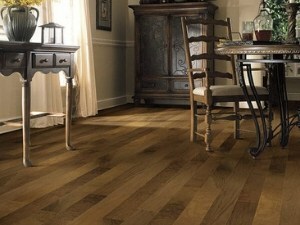 (But red oak tends to have pinkish undertones and white oak (which is a bit darker) more gold and brownish tones). Maple is slightly harder than oak is (1450 on Janka hardness scale vs. Red Oak at 1290) and it is lighter in color than oak. Maple hardwood generally comes from Canada and the northern US. 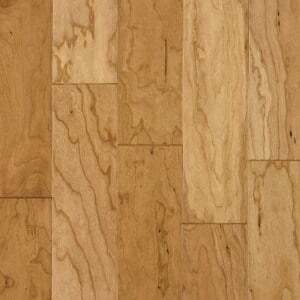 Maple has lighter graining for a smoother and sleeker look. It looks more modern and contemporary while oak has a more classic and traditional look. Some customers prefer this light color and smoother look, while others feel it has less character. Maple is more expensive than oak and the difference varies pending on which grade of maple it is. 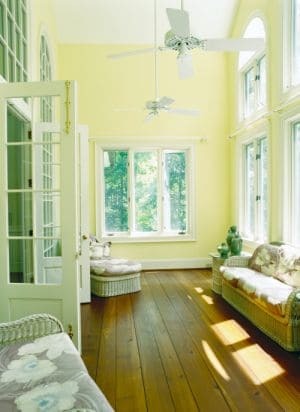 Maple tends to yellow a bit more over time, especially in rooms that have a lot of light. For this reason, if you are going natural, I’d strongly recommend using a high grade water based polyurethane. Maple does not absorb the stain as well as an oak does. Because of this, maples with stains tend to have a bit of ‘blotchiness” in them…some people prefer this look; others think it looks fake. 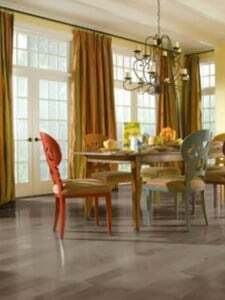 Maple just absorbs stains differently…and with some of the darker stains, they turn a bit grayish…which is a very stylized look. If you are looking for that hip gray look, maple is your best bet (it just doesn’t look the same on oak). If you are sanding and staining maple, you’ll want to use a conditioner before apply the stain. The conditioner closes the pores for more even stain penetration. One of the things I absolutely love about maple is that you can get a beautiful gray stain (or even a whitewash), and provided that you have a talented refinisher who knows both how to work with maple (it’s more challenging than sanding oak) and how to get a beautiful gray stain, the color looks better than it does on oak. And, it looks more stylish. Please note that there are many species of maple and they do vary in hardness. Hard maple, which is known as Sugar maple or Rock maple (species acer saccharum) which is the same type that is tapped for maple syrup. This has a hardness of 1450. There is also Black Maple which is considered somewhat hard. It’s 1190 on the janka hardness scale. But, there are also soft maples such as Big Leaf Maple, Red Maple and Silver maple, and these vary in hardness from 700-950 on the janka scale. In older homes (e.g. 1920’s or earlier) with maple, chances are these are soft maples. 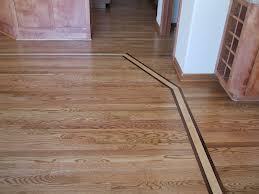 With maple flooring, there is a wide variance on the grades of hardwood. Clear grade looks very clear and uniform, and if you are going for the modern look, definitely go for a clear grade (and beware…some samples are misleading). Clear grade costs a lot more…so if you are seeing major differences in prices across brands or companies, this is probably the reason why. Lower grades have a lot of color variation, darker boards and imperfections…which is great if you are going for more character, but won’t work if you want modern/contemporary. Maple is the state tree for New York, Vermont and Wisconsin. It typically grows to be 130 feet and does better in northern climates. Sugar maple is tapped for its sucrose-containing sap to make maple syrup. It may take up to 30 gallons of sap to make one gallon of maple syrup. A typical maple produces up to 12 gallons of maple syrup per year. Hard maple is also the standard wood for cutting boards since it imparts no taste to food and holds up well. Gymnasium floors have maple. 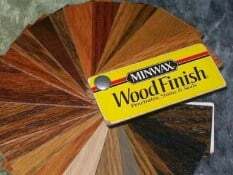 Hickory is also native to the US and looks fairly similar to oak in it’s color and graining, but it is significantly harder than oak (hickory is 1820 on the janka scale vs. red oak is 1290). Many hickories have a lot of color variation and some have knotting and differences in color even within a board. 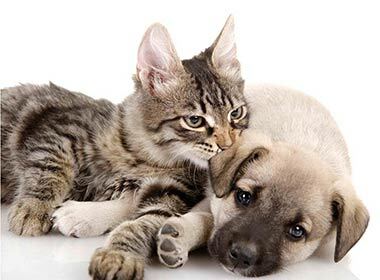 Because of hickory’s hardness and it’s ability to hide scratches and dents, it’s often a great choice for busy households and households with pets. Hickory is more expensive than oak. Hickory is grown in the Eastern US, principally in the Central and Southern states. Tree heights range from 60 to 120 feet. They typically grow slowly and often it takes 200 years for the trees to mature. The Westward pioneers used hickory for their wagon wheels. Hickory chips and sawdust are used to flavor meet by smoking. 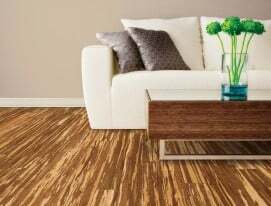 Technically bamboo is a grass, but it can often have the hardness of a hardwood and has really risen in popularity the last few years given its exotic look, lower prices and it’s eco-friendly story. 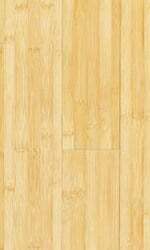 Bamboo is often a bit less expensive than oak, but prices can vary based on the type of bamboo and quality. Bamboo, more than any other species (because it’s imported from China) tends to have the greatest variation on quality and if you are considering bamboo, I suggest you do your homework. If you are looking at a very low priced bamboo, chances are it is low quality and will dent very easily, so tread with caution here. Strand woven bamboo is very strong and durable (and it’s significantly harder than oak). 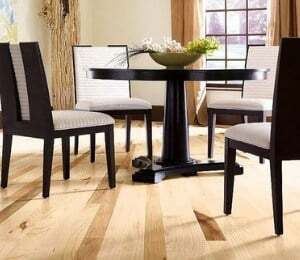 It also costs more and looks different than the bamboo you may be accustomed to but, if you are looking for a more durable bamboo, this is the way to go. 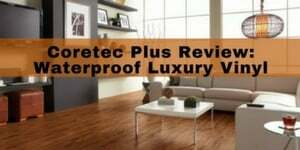 One of the nice benefits of bamboo flooring is that the solid version can actually be glued to concrete floors, so if you live in a condo or co-op with concrete floors, this may be a cost effective option for you. While some bamboos are technically harder than oak, many on the market place (especially the carmelized/darker ones) are not. And bamboo tends to show dents and scratches much more than an oak, and it tends to be even more sensitive to water from minor leaks or pet stains. Oak is very easy to sand and refinish, while bamboo isn’t. 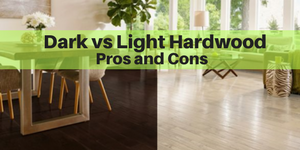 Further, bamboo does not tend to absorb the stains nor the polyurethane very well, so you are much better off getting prefinished bamboo (vs. for other hardwoods, either type will work). Note: Be very careful about buying bamboo that is made in China. 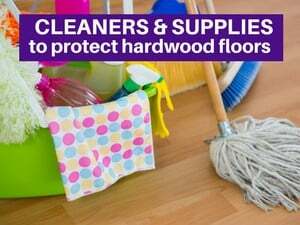 Not only do these products tend to be inferior, but there may be a health risk (w/ formaldehyde) due to the adhesives used. In my opinion, it is not worth the risk to save a few dollars. As the name implies, Brazilian Cherry comes from Brazil and many fall in love with this beauty due to it deep red color (and it tends to darken and deepen with age) and it’s smooth graining. Brazilian cherry is rather hard (2350 on the janka hardness scale). Brazilian cherry tends to have a lot of color variation across the planks which some customers love and some hate (and the samples are often misleading). Brazilian Cherry is often called Jatoba (the Spanish name). 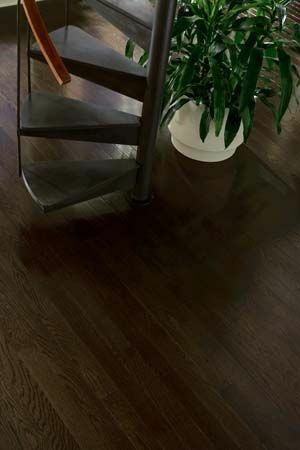 Brazilian cherry hardwood darkens with age (actually almost all hardwoods darken with age, but the exotic/South American species darken the most. Be careful if you have area rugs…if you lift them up, you will see the wood here is light than the other areas. But, don’t worry, over time (usually around 6 months), it will catch up. 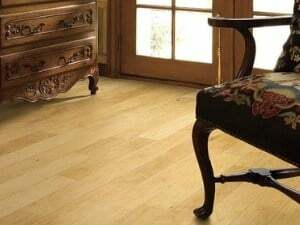 Also, because Brazilian cherry darkens over time, some customers get confused and concerned when they see the hardwood when it’s initially installed as it is often lighter than they imagined/remembered, but it will darken and deepen over time so not to worry. Lately, I’ve been getting a lot of questions about how to eliminate the red tones in Brazilian Cherry. This happens often when people move into new homes and they either don’t like the red color, or it doesn’t match the rest of the home. Check out the above article if you have the same question. 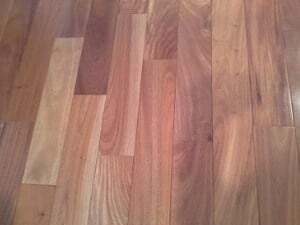 Brazilian Walnut is also very rich looking and has similar smooth graining to Brazilian Cherry, but it is brown in tones. Brazilian Walnut is often called Ipe or Lapacho (spanish) and it is extremely hard…one of the hardest hardwoods ~3,600 on the janka scale (almost 3 times as hard as red oak). Brazilian Walnut is typically grown in Central and South America. Sometimes, it’s challenging to visually distinguish Brazilian Walnut from Brazilian Teak (Cumaru) as they do look similar (and both are very hard and dense woods. Brazilian Walnut tends to be darker than Brazilian Teak. It also lacks the subtle vanilla/cinnamon scent that can detected when the wood is cut. Because of it’s strength and low shrinkage, it’s often used in high end decking. 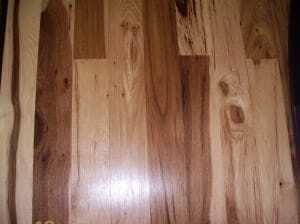 Brazilian Walnut also has large color variation and like Brazilian Cherry, it darkens significantly over time. Brazilian Walnut is generally more expensive than Brazilian Cherry and both are significantly more expensive than oak. Pine is on the softer side of the hardness scale. It’s a soft wood, although its hardness varies by species. Most range from 380-870 on the Janka Scale. Notably heart pine (which is the heartwood and hence hardest section ) is much harder (1225). Softer pine tends to dent more easily from furniture and high heals. Pine is a character wood. This gives the wood its authenticity and helps hide dents and imperfections. Notably, in our area of Westchester County, many older homes (from the 1920’s and earlier) have pine floors. In Westchester, we also have many homes from the 1800’s and even several from 1700’s and these undoubtedly has some form (and more often forms) of pine. Pine was used in older homes as it is softer and the tools and milling capability wasn’t as strong. Older homes in Westchester tend to have Douglas Fir, Yellow Pine, and Eastern White Pine. Many of the boards were both wider and longer. Older homes tend to also have face nails. 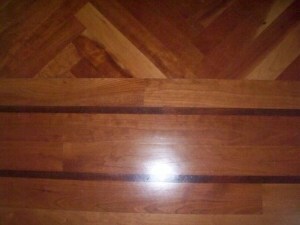 I’ve had many customers ask me whether pine or old pine floors can be sanded and refinished. You can read more about that here. This is a beautiful soft wood. It’s a type of pine, and it’s also known as Oregon Pine or Douglas Spruce. On the janka hardness scale, Douglas Fir is only 660, so it dents very easily. 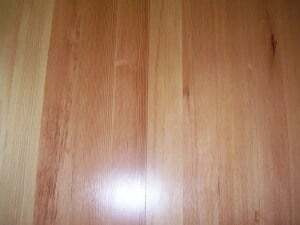 Douglas fir beautiful with radiant gold an red undertones, and it’s usually with a vertical grain. We typically find Douglas fir in older homes in Westchester County, especially on upper levels of homes. They’ve often been there for 80-100+ years (so they’ve witnessed a lot of history)…many from the turn of the 20th Century and before. Douglas fir is grown in the coast regions of the US, especially the Western US from California to Washington. They are also grown as far up the coast as British Columbia. It used to be a very popular wood because it yields more timber than any other North American tree. In older homes, most of the planks are very long, and longer than what is typically milled today. The picture on the left shows newly installed Douglas fir without a stain (i.e. natural). But, typically, in most older homes with Douglas fir, it naturally looks darker as the wood has aged. It would typically be a bit lighter than the above picture. (The above picture appears to have a light Colonial Maple stain on it). Douglas fir tends to darken a bit more than oak, and because the wood has often been in place for over 100 years. When repair is needed, it’s a bit more challenging as fir is cut in different widths nowadays (so it needs to be custom milled down to size) and the new wood is lighter as it hasn’t aged for 100+ years. 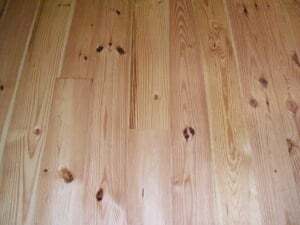 If you have Douglas Fir or other types of pine flooring in your home, you may find this article helpful: Can you refinish pine flooring? Generally, Douglas fir is installed unfinished and then refinished on site. It is rarely sold as a pre-finished hardwood. I generally advise my customers with Douglas Fir to use an oil based poly as it will hold up better. And, as many of these woods have been in place for a while, there may not be many sandings left. Heart pine is the hardest of the pines, and its hardness (1225) approaches that of red oak (1290). Heart pine has a lot of character and knots, and it tends to come in long and often wide planks for a rustic look. While it is slightly softer than oak, the character nature of the knots and grain helps hide the dents. This is a very stylized and rustic look. The floor has a lot of beautiful character and patina. Because of that, it can be the center focal point, and it’s important to make sure the room does not have too many other distractions in it so that it doesn’t look too busy. 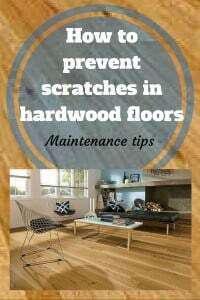 A heart-pine floor will resist dents and deep scratches better than a pine floor made from sapwood. 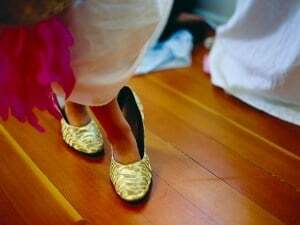 These floors naturally have a reddish-golden tone. Those that prefer their character and authenticity prefer to go natural (i.e. no stain). Birch is also native to the US. It looks similar to maple in terms of color and graining. It’s a big softer than oak and maple. It’s a 1260 on the hardness scale. Birch is often mistaken for maple and it does stain similar (it has the same challenges that maple does when it comes to staining and closed pores). Like maple, it takes some of the brown stains and it turns them gray for a very stylish look. Many of the manufacturers use birch for that look, but as a less expensive substitute vs maple. Birch is often used as a filler wood in engineered hardwoods and some plywoods. It is rarely used as an unfinished wood that is sanded on site. There are multiple species of birch. There is paper birch and this is softest – only 910 on the janka hardness scale. Yellow birch is stronger – about the same hardness as red oak. Sweet birch is hardest variety with a 1470 on the hardness (vs. maple which is 1450). There is also “red birch,” but this is just the heartwood of yellow birch. As the name implies, it has more red tones. Also, there is a unique type of birch that has a waviness or shimmer. It almost looks like flames (or waves) in the wood as the cuts are perpendicular to the grain (similar to quartersawn oak). It’s a characteristic of particular birch trees, not for all trees of the species. 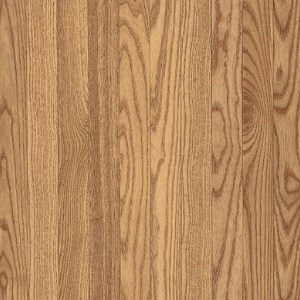 This is usually advertised as “flame birch” (or sometimes “curly birch” and more often seen in furniture than in flooring. 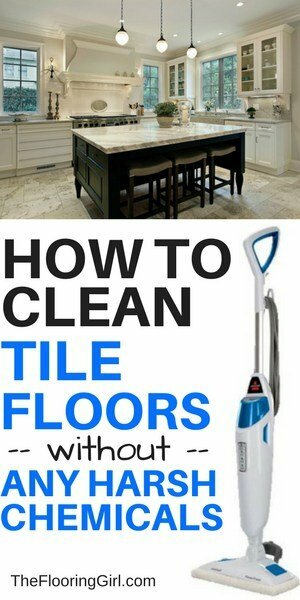 You can see an example of this on one of my pinterest boards. 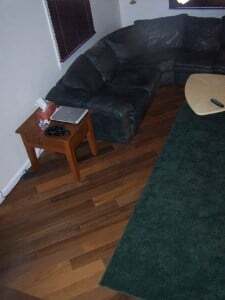 (On this board, you can also see more pictures of other hardwood flooring species. Ash is pale in color. 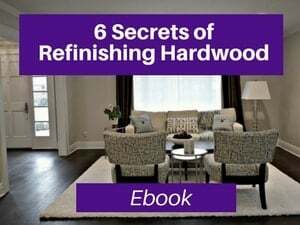 The color is similar to the lighter pieces of white oak flooring and the graining is reminiscent of red oak, but a bit smoother and a bit more consistent. It is 1320 on the Janka hardness scale, so the hardness is in between these 2 species of oak. Ash absorbs and hold stains well. Ash belongs to the Olive Family. It’s grown in Eastern US, and generally grows 80 to 120 feet tall, typically 2 to 5 feet in diameter . Ash is used for baseball bats, hockey sticks, garden tool handles and skis as it’s a hard and sturdy wood. Ash is also used in food containers as it has no taste. Natural ash is typically lighter than it appears in this picture…think baseball bats. It has good shock resistance (hence its use in tools and baseball bats). American cherry is a beautiful wood that reddens with age. While it’s beautiful (and expensive), it’s rather soft and dents rather easily. It’s only 995 on the Janka hardness scale. Many get Brazilian Cherry and American Cherry mixed up. Brazilian cherry is rather hard and is darker/redder and has more color variation than American Cherry. Both American Cherry and Brazilian Cherry have a lot of color variation and they tend to darken and redden over time. They are much more photo-sensitive than oak (sensitive to both natural and artificial light). American Cherry belongs to the Rose family and is mainly grown in the Northern and Lake states. The average tree is 60 to 70 feet. The wood has a fine uniform, straight grain, satiny, smooth texture, and may naturally contain brown pith flecks and small gum pockets. American cherry is a bit challenging to stain and can turn out blotchy. Be careful with area rugs – it’s ideal to wait 6 months before putting these on top of American Cherry. 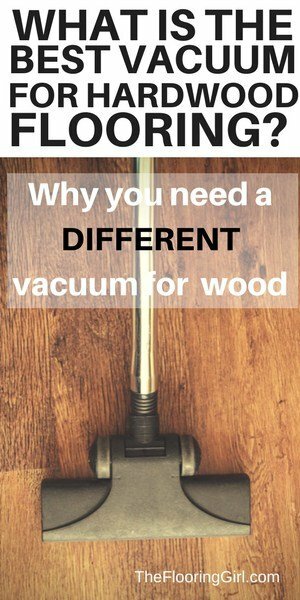 Because the wood darken from light, it’s typical to see the areas under the area rug as much lighter. Most of the darkening happens during the 1st 6 months; therefore, waiting 6 months before adding the rugs. Please note that American Cherry gets redder than the sample at the right shows. American Walnut is another US hardwood that is beautiful and tends to be more expensive. Sometimes, it’s called Black walnut, or simply walnut. The color varies from a lighter pale brown to dark chocolate brown. 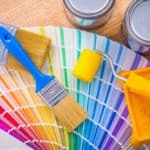 Colors on some boards can have undertones of purple, gray or even a reddish cast. Like American Cherry, American Walnut is rather soft – only 1010 on the hardness scale and many get this confused with Brazilian Walnut which is one of the hardest hardwoods (around 3600 on the Janka Scale). American Walnut is also very photosensitive, and often gets lighter over time. 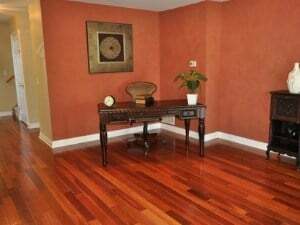 Walnut is often used as an accent in older, more traditional homes of Westchester that have borders. It contrasts well vs oak and maple. Black Walnut is grown in the Eastern U.S., but principally region in the Central states. The average tree height of 100 to 150 feet. The tree trunk diameter is usually only 2-3 feet wide. The roots of the walnut tree release a toxic material which may kill other plants growing above them. The wood develops a rich patina that grows more lustrous with age. The wood is generally straight-grained, but sometimes with wavy or curly grain for more visual intrigue. This species produces a greater variety of figure types than any other as there a wide variations in both color and graining. Be careful with area rugs – it’s ideal to wait 6 months before putting these on top of American Walnut (just as you would for American Cherry or Brazilian Walnut or Cherry). 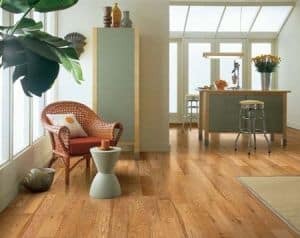 There are many other species of hardwood flooring, but these are the most popular hardwoods in Westchester County. Customers often wonder which species are native to the US. 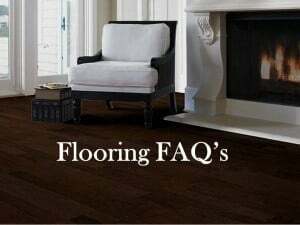 And, lately, I’ve had more customers asking me about American hardwood flooring. They want to buy hardwood that is locally grown and manufactured in the US. I believe this is both due to an assurance of high quality hardwoods (vs. imports) as well as to support the local economy. 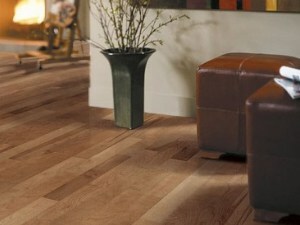 Below are our the most popular domestic wood species. (Note: many of these are grown in Canada, too). 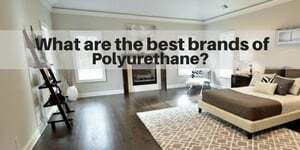 Can you refinish pine floors? This was actually really helpful! 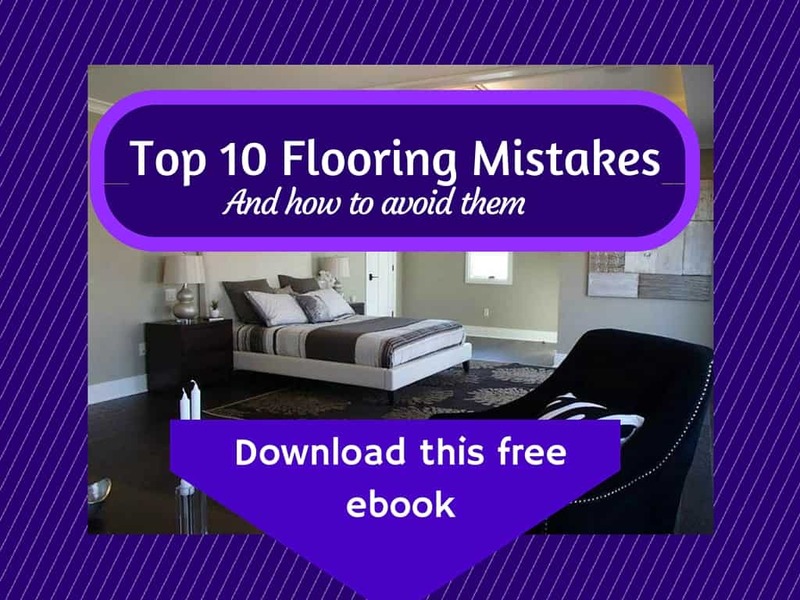 Funny enough, I’m a writer who was trying to look up specific flooring types for a story I’m working on, and this was SUPER specific and exactly the kind of resource I was hoping to find. Thanks for sharing! Elayna – Oh thank you so much. That is such a sweet compliment. So glad it helped you and feel free to link to this article if it helps you. Thanks for the great site! Bona packaging indicates that it is meant for use only on polyurethane finished floors. 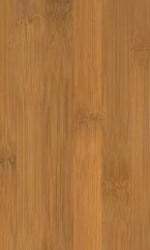 Is IPE Lepacho prefinished Brazilian Walnut flooring compatible with Bona? I’d appreciate your thoughts. Yes, you can use Bona on Lapacho. Brazilian Walnut is simply a species of wood. Bona can be used on any species…as long as it’s sanded down.